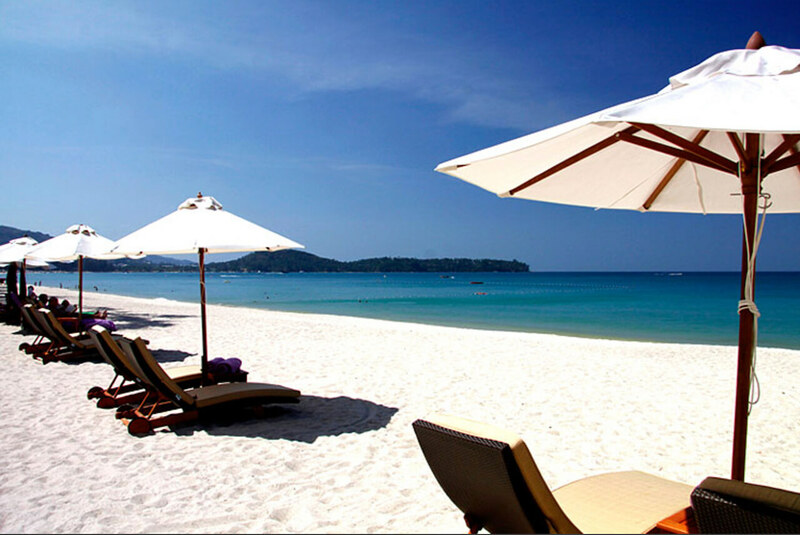 Situated along a stretch of the white sands of Bang Tao Beach lies the luxurious Dusit Thani Laguna Phuket. 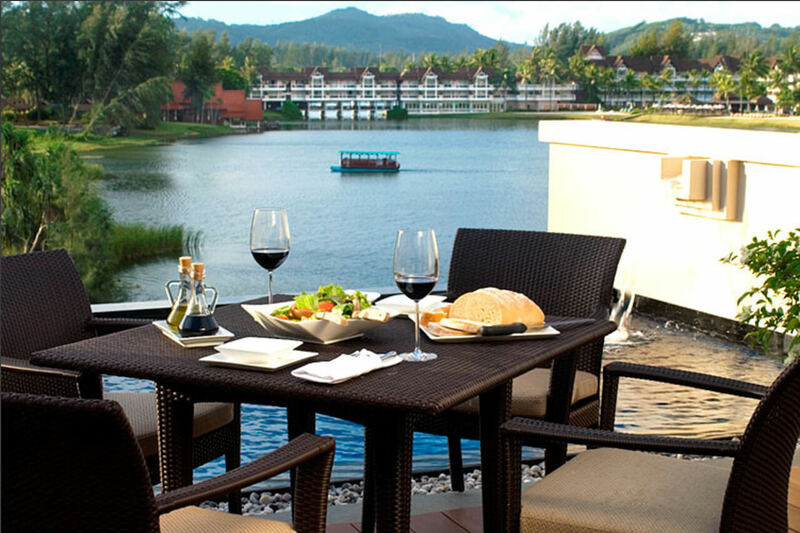 This charming five-star retreat is set within Asia’s finest and most well-recognized destination resort of Laguna Phuket – a sprawling 1000 acres of tropical gardens and interconnected lagoons that are home to seven deluxe hotels, an 18-hole golf course, rejuvenating spas, a shopping village and more. 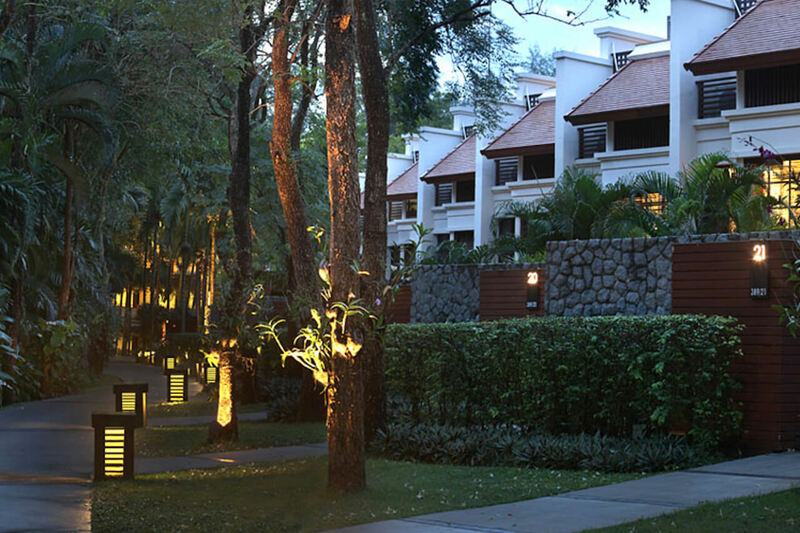 Dusit Thani Laguna Phuket is part of the prestigious Dusit Thani Group – Thailand’s most renowned hotel chain with luxury hotels and resorts around the Kingdom as well as overseas. Shaded by palms and casuarinas and open to cooling sea breezes, the resort co-exists in harmony with is verdant natural surroundings. 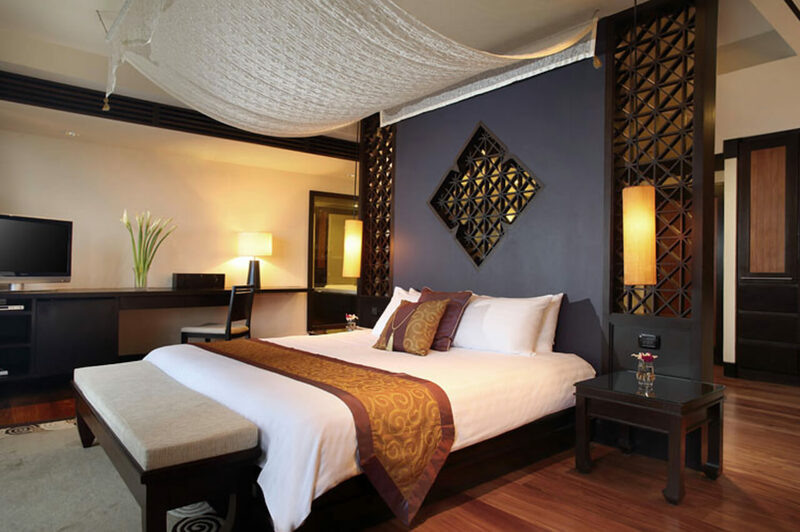 Set within the delightful gardens of the Dust Thani Laguna Phuket, though situated to secure total privacy, Dusit Thani Pool Villas are three-storey, two-bedroom homes, with each villa commanding spectacular views of the sparkling lagoons surrounding Laguna Phuket. Forming a self-contained community, the villas are set apart from the remainder of the resort, yet are within easy reach of all amenities, allowing guests and home-owners to enjoy a world of their own without having to forego everything the exceptional resort has to offer. Containing a built-up area of 292m2 on land plots of 149-156m2, Dusit Thani Pool Villas design concept seamlessly merges Thai traditions with international inspiration. Each villa contains a functional kitchen, dining area for six people and a spacious living area on the same level opens onto a patio offering magnificent panoramic views of the lagoon. Occupying the entire first floor, the two bedrooms of the lakeside villas have direct access to private open-air garden courtyards. The spacious master bedroom includes a large walk-in closet, while en-suite bathrooms with dual vanities are a feature of both bedrooms. The master bedroom features a contemporary shower with a separate luxurious bathtub surrounding you in serene sophistication. The rooftop, complete with an 18m2 plunge pool, an outdoor shower and a sundeck with sunloungers, rounds off an impressive set of features. There are just six villas remaining on sale today, each of which are priced at THB 22 million. All villas are complete and ready for immediate occupation. Those not having the full amount at their disposal to purchase the villas immediately are able to opt for one of the developer’s deferred payment plans, which offers buyers the facility of paying for their villa over a period of up to five years. 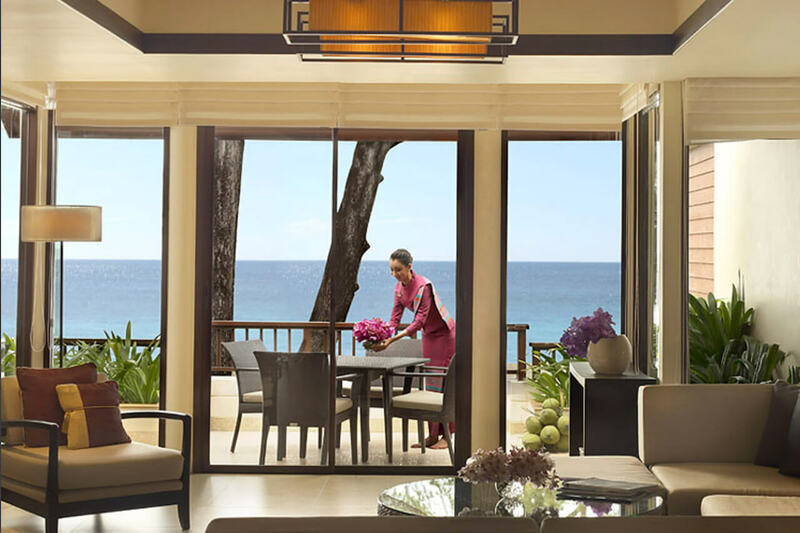 Buyers of Dusit Thani Pool Villas are entitled to a number of benefits. 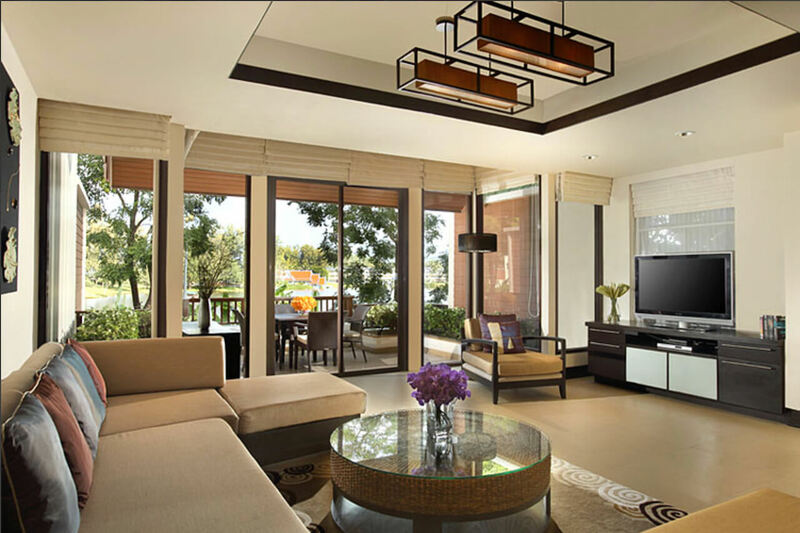 In addition to complimentary membership of Laguna Phuket Golf Club, all buyers are eligible to join The Sanctuary Club. 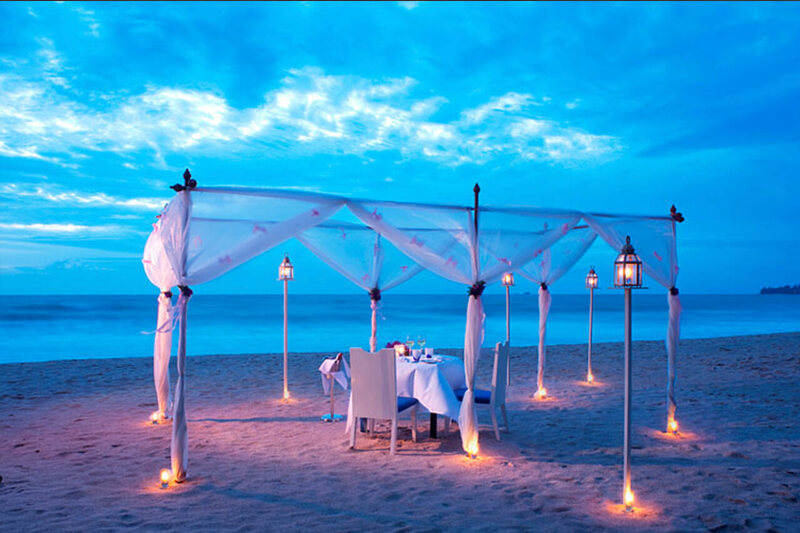 Membership of the Club entitles the owner to many privileges and discounts at all Banyan Tree, Angsana and Laguna Phuket Resorts and Hotels, together with free stays at affiliated properties participating in the exchange program. Those wishing to receive an excellent rental return from their properties can participate in the developer’s rental program. This offers owners a 33% of the income received through the rental of their villa, while still offering the owner up to 60 days personal usage every year.